It was not a good week for sport. There are strange doings, as usual, in Singapore and Qatar. 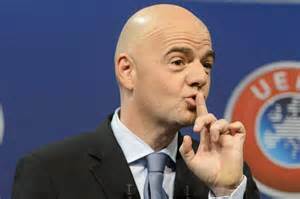 However, the big story is that Gianni Infantino’s FIFA has now become a Blatter-Lite FIFA: the same organisation, only with better table manners for the media. The key issue is the resignation of Domenico Scala as the Head of the Audit and Compliance Committee. He quit FIFA as Infantino pushed through a measure that would have allowed the FIFA Executive Committee now named the FIFA Governing Council (but the same organisation with a different name) to fire people on the Scala’s committee. It is a conflict of interest. You cannot have the people who the anti-corruption unit is investigating being able to fire the investigators. It does not work. This is the same structure that drove Greece into bankruptcy. During the 2000s, every time the Greek anti-corruption police wanted to investigate a politician for corruption, they had to get parliament to vote to allow them to proceed. The police lost 19 out of 20 of these votes. FIFA is now going in the same direction as bankrupt Greece. Here is the really bad news. It is unclear if the U.S. Department of Justice will expand their investigations of FIFA. They got a big win with the Latin American and Caribbean executives. They have the evidence to push their investigation against Asian and African football officials. However, will they dare take the political risk? My insiders tell me that the battle is on inside the American investigation. 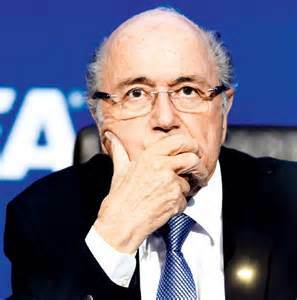 If the U.S. does not investigate and FIFA internal ethics committee is muzzled we can expect FIFA to morph from Blatter-Lite to business as usual. 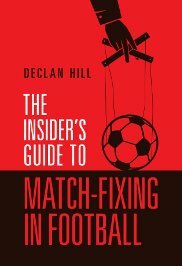 Speaking of deeply corrupt Asian countries – the Turkish match-fixing nightmare continues. The most popular football club in the country Fenerbahce was implicated in a match-fixing investigation in 2011. Their CEO and a number of officials and players were arrested. The basis for the arrests were hundreds of pages of secretly-recorded telephone calls. This evidence passed through two Turkish courts, a UEFA hearing where Fenerbahce was banned from European Football and a Court of Arbitration of Sport (CAS). Guilty verdicts were secured. The Turkish President Recep Erdogan claims that the entire investigation and the hundreds of pages of evidence were manufactured in a conspiracy by a former political ally of his – Fethullah Gulen – an intellectual Islamic scholar who lives in Pennsylvania in a self-declared exile. It is a farce with a bloody touch. Last month, sixty-four people were arrested on grounds of making up the entire investigation up. They include newspaper editors, university deans and police officers. Strangely, there are a fair number of Erdogan’s critics who have been arrested. If the case were about any other subject – tax evasion, corruption (Erdogan’s son was implicated in an investigation by the same team of police officers), human rights – there would be a nation-wide protest. Because it is conducted behind the screen of ‘match-fixing’ and football at Turkey’s most popular football club, the farce is allowed to continue. Speaking of farces: Dan Tan’s wife is now on trial for not knowing that her husband was an international match-fixer. In 2013, police interviewed her and she claimed not to know what her husband did during his professional day. Why don’t they put the entire Singaporean police and media on trial while they are at it? To review – between 2011 and 2013, the police forces of Finland, Italy, Hungary and Germany asked Interpol to serve two international arrest warrants for Dan Tan. One of his principal aides had voluntarily flown to Italy to confess their involvement. Wilson Raj Perumal had been convicted and was actively naming Dan Tan’s gang. Yet during all that time the Singapore establishment (who loves gambling) pretended they did not know what was going on. Now they are prosecuting Dan Tan’s wife for essentially saying the same thing. Another country, another farce. Mexico has the joined the Qatari-led Sports Integrity Global Alliance. Cue sound of laughter from all independent sports fans. First, they are an international joke which provides great humour for the rest of us. Secondly, they a great sifter of people. Anyone who works with them automatically reveals that they do not understand ‘sports integrity’. These people have lost their credibility and should be ignored on issues of sports integrity. To end with good news. A press release from the hard-working international football players union FIF Pro is found below. Thank goodness the players understand the problems of ‘Sports Integrity” in Qatar. FIFPro and Spillerforeningen have today (Tuesday, May 17) released a short film with Danish and Norwegian national team players calling for improved working and living conditions for migrant workers in Qatar. Produced by Danish players’ association Spillerforeningen, the three-minute video features William Kvist (FC Copenhagen and the Danish national team), Tom Høgli (FC Copenhagen and the Norwegian national team) and Mads Øland, Director of Spillerforeningen and FIFPro board member. “Working conditions in Qatar are cruel. […] Safety is poor, the wages are horrible. Their Passports are confiscated – and in many ways they live 1like slaves. The football world cannot accept that,” Tom Høgli said. Spillerforeningen supports the recent process initiated by FIFA to secure human rights and improve the working and living conditions for the migrant workers in Qatar, and will support FIFA in reaching the goals of that process. 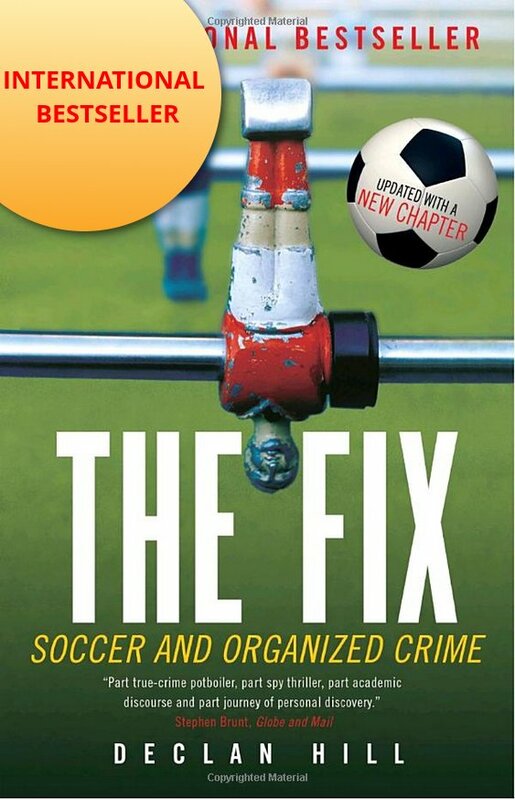 I wonder how a committed to reform CONCACAF and still CSA president Victor Montaglini will feel sitting on FIFA governing council with Fernando Sandy of Brazil, whose family is infamous for the father Jose, And the sister Roseana former state govenor of Maranhao. Reformers like Victor need to push out the criminal elements on FIFA governing bodies, hopefully he will speak out with the support of Sunil Gulati, even if it means CONCACAF does not get the next World Cup in 2026.